[tps_footer]Bollywood actor Shah Rukh Khan’s much-awaited film Fan has released today and is touted to be the best SRK film compared to his last five films. The storyline of the film revolves around a 25-something Gaurav who considers himself the biggest fan of superstar Aryan Khanna. The movie is more about a fan than a star, which will instantly connect to Shah Rukh Khan’s die-hard fans. While fans have geared up to watch the highly anticipated film, we have a spoiler alert. Well, we couldn’t resist but reveal that Salman Khan’s fans should also watch the film. Why? 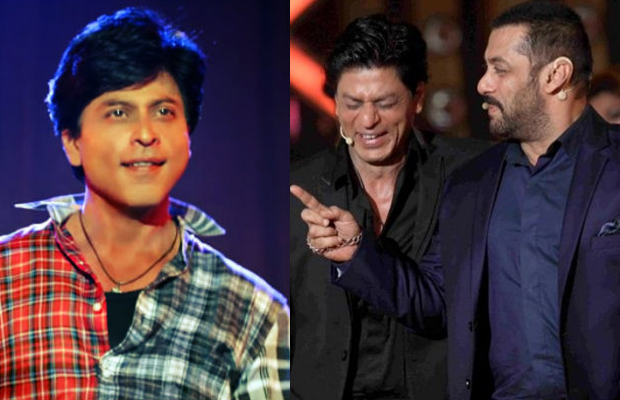 Surprisingly, Salman Khan plays a cameo role in SRK’s Fan, which has been directed by Maneesh Sharma. The Dabangg star has a small part in the film. There is a scene in the film where Gaurav Khanna takes a trip at London’s Madame Tussauds museum and during the same scene, you will witness Salman Khan’s statue right there in front of you. Though Salman himself is not present in the film, but his wax statue is surely going to give happiness to many. What say? Next articleWatch: Shah Rukh Khan’s Fans Go Berserk Outside Theatres!